Native of Khövsgöl, in the North of Mongolia, Anya is the director of our agency. After studies of French and after international trade in Paris, she acquires a significant experience of guide-interpreter in her country. 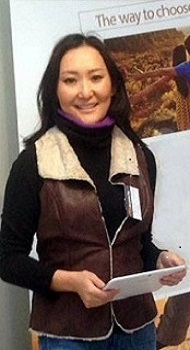 Her love of Mongolia affable created Escape Mongolia in 2005 having obtained a professional License(Bachelor’s degree) in the tourism in Cnam. Thanks to a perfect knowledge of the ground, she is your interlocutor favored to prepare your journey and answer all your questions.